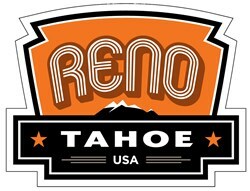 Travelers looking for a fun, safe, affordable, sunny, beautiful, hip and varied vacation destination should check out Northern Nevada’s Reno Tahoe area, according to more than 50 varied publications and websites, from A (AOL Real Estate) to Z (Zagat.com). The four season, high desert resort destination that encompasses Reno, Sparks and North Lake Tahoe has been recognized for excellence on more than 50 occasions – in a wide variety of national publications and online rankings – over the course of the past 24 months, and the “Top 10” accolades just keep on coming. The local GourMelt Grilled Cheese Truck earned double honors this year as one of the “10 Best Grilled Cheese Trucks” by CultureCheeseMag.com and also as one of the “101 Best Food Trucks in America” by The Daily Meal. Chapel Tavern in Reno’s hip MidTown District was recently named one of the “10 Best Places to Drink Rum” in the country by Zagat.com. A mainstay in downtown Reno for more than 50 years, the Awful Awful was listed as one of the “51 Great Burger Joints Across the U.S.” by USA Today. Hot Rod magazine recently cited the iconic Virginia City International Camel Races as one of their “41 Ways to Go Fast” in 2014.